Many might ask: Would you buy a used Muppet from this man? The answer already appears to be, "Yes -- at the right price." Little more than a year ago, Thomas Haffa and EM.TV acquired the storied Henson Co., home to Miss Piggy, Kermit the Frog and the rest of the well-known puppet characters created by the late Jim Henson. But what a tumultuous year it's been for the Munich-based media group, which most observers believe is poised to resell the Muppetwerks, probably at a loss. In Henson, suitors see a growing business producing revenue of more than $150 million a year in film and TV production, character licensing and creature effects. But likely bidders -- including top studio parents, senior Henson management and others -- nonetheless would hold the upper hand in any auction of the company, thanks to the recent travails of parent EM.TV. Most notably among many miscues, EM.TV in March bought a 50% stake in the Formula One racing organization for reasons that remain unclear. The $1.6 billion acquisition quickly proved indigestible, and EM.TV turned to another German media conglom, the Kirch Group, for some fiscal Pepto-Bismol. Thus, Kirch, which is less than two years past its own credit crunch, will close this month on the $550 million acquisition of a 25.1% stake in EM.TV. Kirch will get control of Formula One but more importantly -- at least to Miss Piggy, Kermit and the gang at L.A.-based Henson -- also will gain veto power over strategic decisions at EM.TV. Given topper Leo Kirch's well-known distaste for investing in Hollywood, that's already translated into expectations of a Henson auction. EM.TV acquired Henson for $680 million in February 2000, but it's considered unlikely Disney or any of the other rumored Muppetmaniacs would want to pay even half that for the once-hot operation. 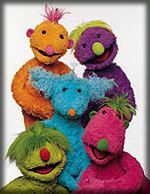 Still, Henson execs, who decline to discuss any prospective sale of the company, proudly point to recent deals including the sale of a whopping 250 half-hours of a new show, "The Hoobs," to Britain's Channel 4 as indicative of continued creative vitality at the company. For a decade after its founder's death in 1990, Henson was owned and operated by five of Jim Henson's children, including current chairman Brian Henson. Just before Jim Henson died, Disney was positioned to buy the company and fold it into its Mouse House family, joining Mickey and other Disney-created characters, much like previous adoptee Winnie the Pooh. That transaction never happened, but Disney again figured in some serious negotiations for Henson -- along with Viacom, Time Warner and others -- just before EM.TV stepped in to buy the company at a price observers with 20-20 hindsight consider much too high. It's certainly proven too high for EM.TV. With the Formula One fiasco and other pratfalls causing broad investor flight, EM.TV's European-listed shares have been decimated over the past year. The stock has shed 95% of its peak market value of $15 billion, recorded shortly after the Henson acquisition. Haffa's brother Florian was forced to resign as chief financial officer in December after circulating Henson revenue forecasts so overstated that a top insider now characterizes the projections, which have prompted a shareholder suit, as "pure fantasy." Thomas Haffa's brother-in-law Michael Birnbaum ankled as head of communications March 2, with reports of the departure and those of other managers citing inaccurate earnings forecasts. A former Kirch exec replaced sales and marketing chairman Hans Peter Vriens, who left earlier this month over unspecified strategic disagreements. Though he won't say so for the record, it's understood Henson CEO Charles Rivkin wants to put together a management-led buyout of Henson. A savvy Harvard MBA with more than a decade of service at Henson, Rivkin has approached several possible backers, including toy merchandisers and international TV broadcasters. But most observers believe Henson ultimately will end up part of the Mouse House. "Henson would be a spectacular fit for Disney," says Sutro analyst David Miller. "I don't think they want to get beat on this one." Miller figures Disney would be willing to pay up to about $300 million for Henson. Some observers believe a Disney-Kirch output pact could be part of any deal. Viacom also is known be eyeing Henson for its Nickelodeon kidvid unit, while Time Warner has kicked some Muppet tires but appears unlikely to mount a serious bid. Another potential suitor is U.K.-based HIT Entertainment, a growing TV concern that recently acquired rights to well-known purple dinosaur Barney. HIT formerly operated as Henson Intl. Television before a spinoff a decade ago, and topper Peter Orton is said to be mulling a run at Henson. Allen & Co. reportedly has been approached about conducting a Henson auction for EM.TV. The blue-chip investment firm is familiar with the Muppet factory from past work for the Henson family. One reason EM.TV won't get anywhere near what it paid for Henson is the German company's previous selloff of U.S. rights to characters involved in the Henson-created "Sesame Street" children's show. Program producer Sesame Street Workshop paid $180 million for those rights in December, getting licensing rights to well-known characters such as Big Bird, Oscar the Grouch and Elmo. That could affect Henson's filmmaking activities -- already in decline. 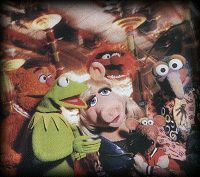 Once a successful springboard for family pics, the Muppets film franchise has gone rather cold of late. The most recent Muppet movie, Sony's "The Adventures of Elmo in Grouchland," grossed only $11.7 million domestically after an October 1999 release. That compares to $65.3 million in domestic box office for 1979's "The Muppet Movie," still the top performer among 10 Henson pics to date. Recent foreign B.O. tallies have been equally ugly. Rivkin, Henson chief since the EM.TV takeover and its president since 1995, stresses that future film and TV projects won't be limited to children's fare. "Jim Henson never wanted to program exclusively for pre-schoolers," he says. "He had 'Sesame Street,' but he was also involved in the first season of 'Saturday Night Live.' "
It's also true that Muppets have meant less and less to Henson's fiscal wellbeing. Almost all of Henson's 1990 revenue -- some $50 million --came from Muppet projects, but by 1999 more than three-fourths of its $100 million in total revenue was generated by operations and projects unrelated to the colorful puppet franchise. In 2000 -- the year EM.TV's overly optimistic forecasts framed a supposed disappointment at the unit -- Henson revenue leaped 45% to $145 million, and the company is believed to be on track to hit $160 million this year. "We're very proud of what we've done and feel there's a huge potential in the future," Rivkin says, though he declines to confirm the revenue estimates. Non-Muppet money has come from a range of new projects, most involving work-for-hire. It's believed a management LBO hinges in part on the premise that Henson can mount more proprietary projects and reap greater windfalls. Current TV co-prods include the Disney Channel's popular "Bear in the Big Blue House" and a Hallmark series on the Sci Fi Channel, "Farscape." Projects for the current year include CBS miniseries "Jim Henson's Jack and the Beanstalk -- The Real Story," set for the November sweeps. Henson also operates creature effects shops in L.A., Gotham and London. The L.A. shop worked on Warner Bros.' upcoming feature "Cats and Dogs," while London is doing Warners' "Harry Potter" pic and New York is involved in "Bear in the Big Blue House." About half of Henson's 300 companywide employees work at its historic Hollywood lot, the former Chaplin Studios. Meanwhile, regardless of any future tinkering with the company's film/TV mix, some observers believe just returning control of the company Stateside could prove a plus. "I believe there are huge management-coordination problems with trying to run an L.A. entertainment company from Germany," Sutro's Miller says. On the other hand, Disney's Burbank lot is a convenient 15-minute drive from the main Henson campus.